A few years after we’d moved into our house in the swamps of Southeastern Virginia, a house down the road went up for sale. We spoke to the owners and discovered they had been part of the local “sentinel flock” program. Swampy areas are prone to mosquitoes, and mosquitoes are carriers of several diseases that are dangerous or even deadly in human and animal populations—in our area, West Nile and Eastern Equine Encephalitis (EEE). One way of tracking mosquito-borne disease outbreaks is through the bird population. Our local jurisdiction stations “sentinel flocks” of three or four chickens throughout the area. Then the local mosquito control office (yes, swampy parts of the country actually have these) periodically conducts blood tests on the birds to see if their blood shows signs of exposure to West Nile or EEE. By using stationary chickens, the office can track where any outbreaks are occurring. 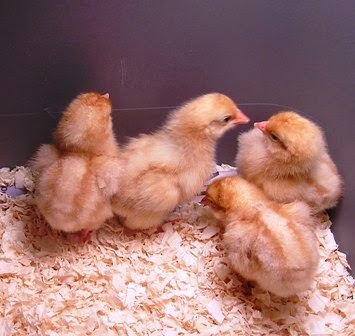 My chicks live in my kitchen for their first few weeks, with a heat lamp to keep them warm. When we get a nice, spring day, we take them out into the yard and let them walk in the grass. I always find what happens next absolutely amazing. The chicks—none of whom has seen an adult chicken in their short lives—behave like…chickens. ﻿﻿You see, no one has to teach a chicken to scratch and peck and do the things chickens do. It’s part of their nature, and I doubt you could “teach” those traits out of them. Even Tweedledee, our chicken who thinks she’s a dog, likes to scratch and peck in my flowerbeds (much to my annoyance). We currently have four different chicken breeds. 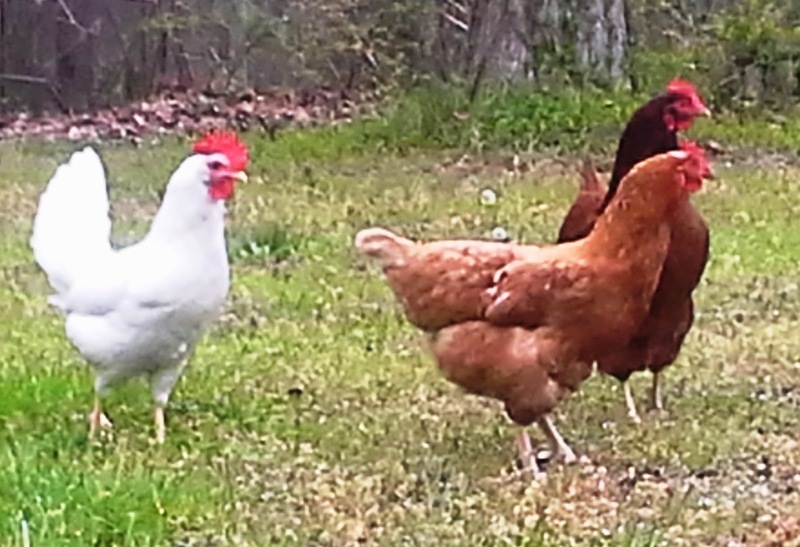 Tweedledee is the Rhode Island Red in the back. When she sees us, she comes running to us like a puppy. ﻿﻿Which leads me back to Easter. Chickens act according to chicken nature, and humans act according to human nature. What is human nature? Christian theology often calls this our sin nature. To get a good view of our sin nature on display, just put four or five toddlers in a room with one toy and no adults. How long do you think it will be before someone is crying? No one has to teach a toddler to be selfish or say unkind words or tackle the child with the toy. No, we spend years trying to teach our children to overcome their natural inclinations, but even the best of us still fail and revert to our sinful human nature. Human nature. It’s what says none of us will ever measure up to a perfect God, so he gave us Jesus and Easter. Maybe the chick isn't such a bad symbol for Easter after all. Next time you see a box of marshmallow peeps, I hope they remind you of the true reason for Easter—in a round about way. 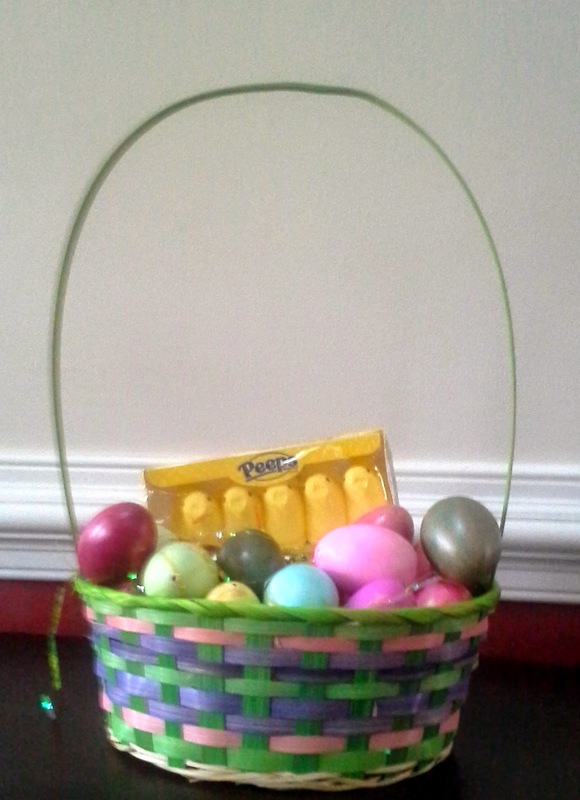 So, in a nod to candy manufacturers and advertisers everywhere, what is your favorite Easter candy? 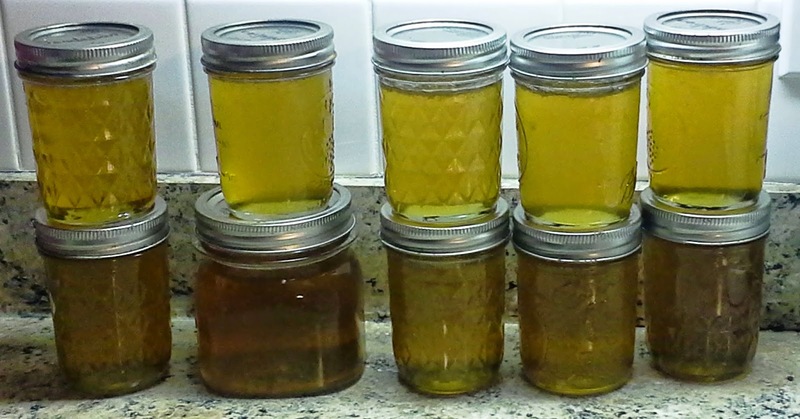 P.S., In an update to my April 2011 post about the usefulness of the common dandelion, I made dandelion jelly for the first time last week. The experiment has been declared a success by family and Easter guests alike who tried it. I love this reflection of what is in our 'nature'. And enjoy your chicken story. There is something quite compelling about eggs hatching. And those birds change so fast day-to-day. We raised pheasants one year for a 4-h project. A lot of people are raising chickens now! Hope your family had a lovely holiday, C.J.! Deb, our oldest was in Boy Scouts (all the way up to Eagle), but I said to dh just last week that I had a feeling youngest (6) was more likely to be in 4H. Dandelion jelly, CJ. I wonder what it tastes like? My favorite Easter candy is Cadbury mini eggs. I did make myself sick on them this year. A bad part of my sinful nature, for sure. Gluttony of Cadbury mini eggs. I love your analogy. Keith and I have thought about getting chickens . We used to have ducks. They were such fun. Suzie, some people say dandelion jelly tastes like honey. Verdict at our house was just "really good." Our local jurisdiction just recently voted to allow people with on small, suburban lots to keep up to 6 hens. Love my chickens. There's nothing quite so peaceful as watching them hunt and peck through the grass. Niki, we "inherited" our current rooster from someone in a similar situation. She had gotten 6 chicks -- supposedly sexed female. Ahem. All six turned out to be roosters. We got the beta guy who was being picked on by all the alphas. I'm not that keen on having a rooster, but it does make it easier to get the hens in at night. I always wanted to raise chickens, but when I realize I'd have to either kill them myself or sell them to be killed, I can't do it. I don't mind eating meat, I just don't want to be acquainted with it before I do. Oooh, I like the small chocolate eggs and FRESH Peeps. No black candy of any kind whatsoever. Pleh. DeAnna, we just raise a few hens for the eggs. It's not really that cost effective compared to regular factory-produced eggs, but you can really see the difference. The yoke is a much deeper yellow than the non-free range/organic ones you get at the grocery store. We've never butchered any of ours, but we have enough predators in the area (who don't mind killing chickens at all) that we normally lose some to attrition. We lock them up at night, but we still lose a number every year. This winter we lost all the white leghorns but one. (I think we had 5 last fall.) We have just one white leghorn left. She's now our only hen laying white eggs, so we had to collect for a while to get enough white eggs to color Easter eggs with youngest son. Those chickens were all older (by chicken standards), so maybe they just weren't as aware or agile. My rule of thumb is that I don't eat anything I've named. And I'm with you on the black candy. No black licorice or jelly beans, etc.